Deep Purple were originally signed in 1968 to Parlophone Records in the UK, before switching to EMI’s progressive imprint, Harvest, the following year. In 1971, the band’s management set up Purple Records, to release Deep Purple’s records from “Machine Head” onwards, but also the various side projects the band members were developing, and artists that they were discovering and respected. The label would eventually become home to debut solo releases from Jon Lord, Roger Glover & David Coverdale and Glenn Hughes, as well as early releases from Michael Des Barres’ Silverhead and Ronnie James Dio’s Elf. Following expanded reissues from the resurrected Purple Records by Glenn Hughes, Silverhead, Elf and Hard Stuff, Cherry Red are proud to announce the new four disc set, “Purple People Volume One”. Between finding fame performing as Mary Magdalene in Tim Rice and Andrew Lloyd Webber’s “Jesus Christ Superstar” alongside Ian Gillan’s Jesus, but before being snapped up by RSO Records to become a disco superstar with the “Saturday Night Fever” soundtrack, Yvonne Elliman made one LP for Purple Records. Produced by Rupert Hine, the Hawaiian singer’s guests include The Who’s Pete Townshend, who lends his guitar to her version of ‘I Can’t Explain’. The album is also notable for the song ‘Happy Ending’, a rare, early example of song writing from a pre-“Bat Out of Hell” Jim Steinman. 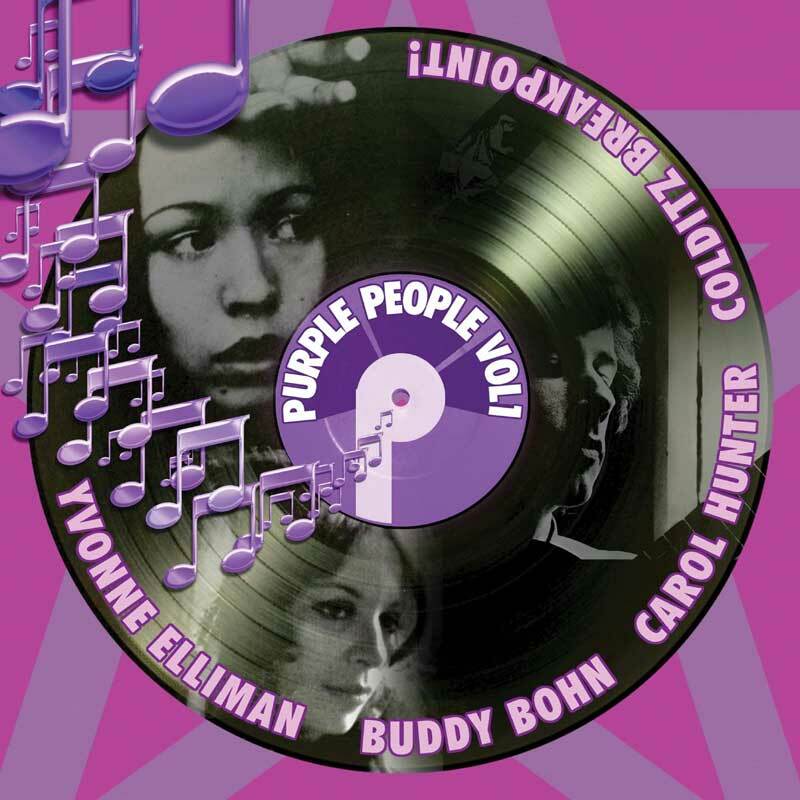 Purple Records was nothing if it wasn’t a broad church, and Buddy Bohn’s “A Drop In The Ocean” is typical of the label’s eclectic nature. 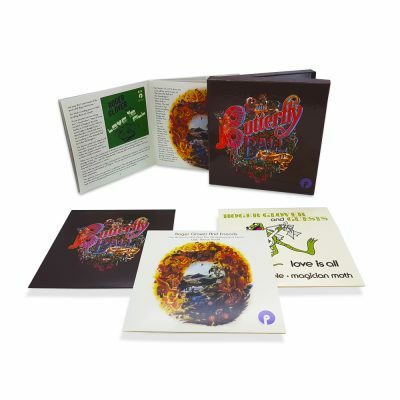 In part recorded with the London Philharmonic Orchestra, the Illinois born guitarist’s third LP was produced by Jerry Lordan, and also features cover artwork form the famed Hipgnosis design team. The royalties from the minor hit ‘Vermouth Rondo’ allowed Bohn to build his own studio. Carol Hunter was born and brought up in New York, and started the guitar as an exercise for a broken wrist. After leaving school and performing around Greenwich Village coffee houses with Peter Tork, she taught guitar for a year, made an album with Janis Ian, did session work in New York, including playing with Jimi Hendrix. From session work to three years as lead guitarist with Neil Diamond both on the road and in the studio, she has also worked and recorded with Richie Havens, Jackie De Shannon, The Raiders and numerous others. Produced by Carol Hunter and Randy Steirling, “The Next Voice You Hear” also includes a guest appearance from Larry Carlton. As if to prove how open-minded the Purple Records roster could be, “COLDITZ BREAKPOINT!” is – according to the album’s liner notes – a record that, “has been created for your imagination. It is a song without words, a film without a screen, an opera without libretto. There is no musical score and no script; no straight-jacket to dictate terms of your experience.” Released in 1973, partly as an unofficial companion to the highly popular BBC TV series that ran from 1972-1974, it is a collection of wartime-era songs and music, created with the co- operation of Major Pat Reid, technical consultant for the series and real British Escape Officer at Colditz. “COLDITZ BREAKPOINT!” appears here on CD for the first time. Cherry Red are proud to announce the resurrection of Purple Records with the release of Silverhead’s classic catalogue!